Put some olive oil in the bottom of a 9×13 baking dish. Beat the eggs in a small bowl. Set aside. In a medium bowl, mix almond flour, salt, and pepper. 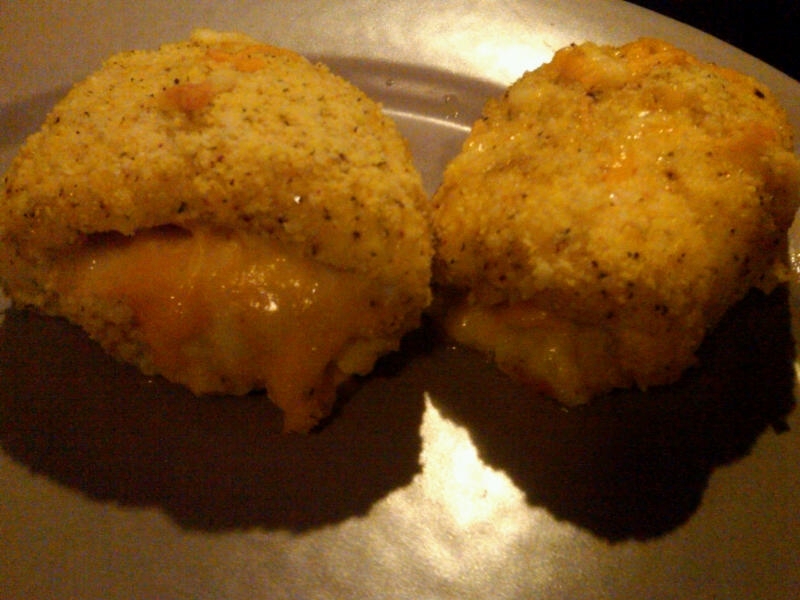 Place a pinch of cheese in the chicken breast and roll up. Roll the chicken in the eggs, then in the almond flour mixture. Place in a baking dish with the ends down to keep it from unrolling. Repeat with the rest of the chicken and cheese. Mist a little olive oil over the top of the chicken. Do we have nutritional info for this dish?